WASHINGTON, Aug. 14 (Xinhua) -- The United States on Tuesday tacitly ruled out intervening in the current diplomatic spat between Canada and Saudi Arabia, though it said it supported free speech. In a press briefing, State Department spokesperson Heather Nauert said Secretary of State Mike Pompeo believes "this is an issue for the Canadians and ... for the Saudis to resolve themselves." "The United States does not have to get involved or interfere in every issue that's out there before countries," she said. "It's not necessary for the United States to have to step in between two countries that ... have the ability to pick up the phone and handle these issues among themselves." However, she added that Washington firmly supports the right to free speech. "Every time one of these issues comes up, we remain concerned about the detention of activists in Saudi Arabia, and we urge the government of Saudi Arabia and all governments to ensure that due process is done, and that it's handled in a transparent and fair manner," she added. 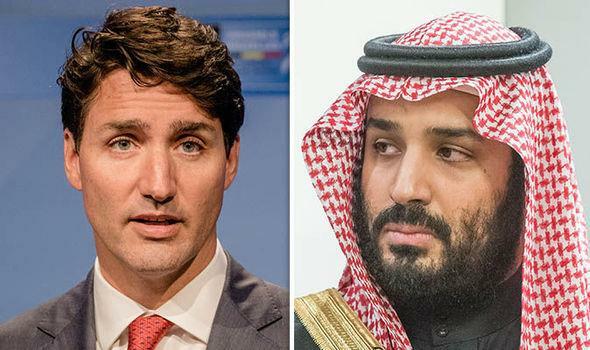 Over the past few days, Saudi Arabia expelled the Canadian ambassador, froze new trade and investment in Canada and withdrew thousands of Riyadh-funded students from Canada. It also announced the suspension of Saudi Arabian Airlines flights to and from Toronto. The measures were taken to show the kingdom's displeasure at Canadian Foreign Minister Chrystia Freeland and other officials criticizing the detention of women's rights activists in Saudi Arabia and urging for their immediate release. Riyadh called it an intervention in its internal affairs. As the dispute escalated, Canadian Prime Minister Justin Trudeau said last week that Canada will always stand up for human rights. In response, Saudi Arabia's Foreign Minister Adel al-Jubeir ruled out the possibility of mediation and warned of more measures against Canada. Saudi Arabia is Canada's 19th largest trading partner and the source of some 10 percent of Canadian crude oil imports. Trade between the two countries amounts to nearly 4 billion Canadian dollars (about 3 billion U.S. dollars) annually, according to reports.